That is what you need to know. I really love pork tenderloin. I also love pasta and mushrooms. So, I decided that I should use Dorot's fine products in this lovely recipe that I enjoy the most. adapted from "Sauteed Pork Tenderloin Medallions with Lemon-Garlic Sauce"
Slice pork tenderloin in 3/4-inch steaks and season with Slap Ya Mama Seasoning. Heat 1 Tablespoon of oil and one cube of Dorot Crushed Garlic in skillet on medium-high heat. Add pork and brown for roughly 2 minutes on each side, and remove from skillet. Add remaining olive oil, crushed garlic, onions, bell peppers, mushrooms and brown until mushrooms are softened. Add 15 ounces of chicken broth and bring to a boil. Don't forget to scrape the bottom of the skillet to get the seasoning off of the bottom. Once the liquid has just about evaporated add remaining broth, two cubes of Dorot Chopped Parsley, corn starch, and boil until you get the desired amount of sauce. Toss the pork back into the skillet to warm for about five minutes and serve. 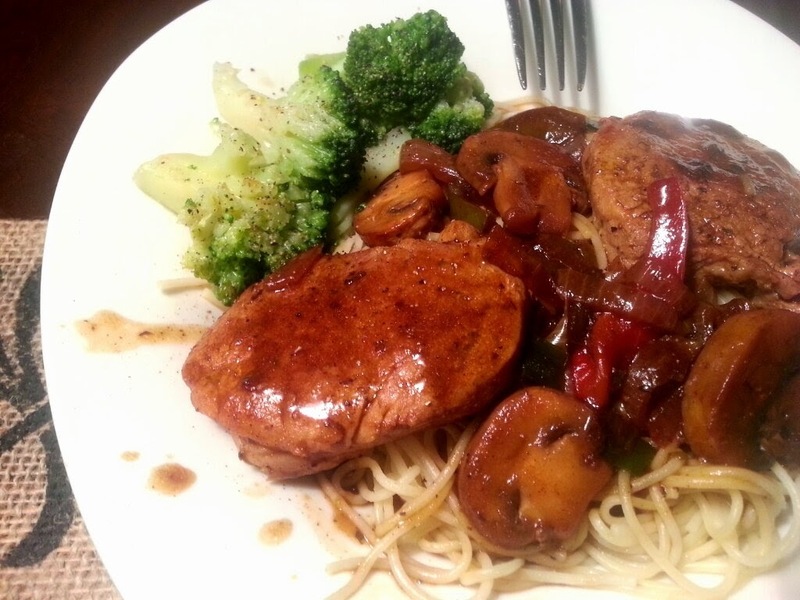 Pour sauce all over the pork and pasta and enjoy the different flavors!